The 16th Docomomo Germany Conference and the 3rd RMB Conference is taking place in Berlin, Germany, in 2019, with the theme – 100 Years Bauhaus: Which interest do we take in Modern Movement today? Docomomo Deutschland, the Detmold School of Architecture and Interior Architecture and the EU project ´Reuse of Modernist Buildings (RMB)´ have organised the 16th Docomomo Germany and 3rd RMB Conference. This first event in Berlin continues the tradition of the Karlsruhe Docomomo Germany Conferences. The EU project RMB initiates a pedagogical framework on the European level based on common definitions, methods, and approaches for the ‘reuse’ of modern buildings, with the aim of offering a ´Joint Master on Reuse of Modernist Buildings´. In this context, the conference takes place in a new format as a combination of invited keynote speeches and selected scientific lectures – in 2019 with the theme: 100 years Bauhaus: Which interest do we take in Modern Movement today? 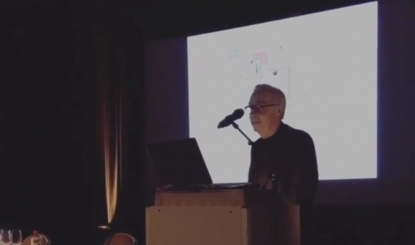 The international Conference in Berlin took the 100th anniversary of the Bauhaus as an opportunity to discuss the significance of modernity in the 21st century. The focus should not be on the Bauhaus itself, but on the concepts, visions and impulses emanating from modern movement. They should be related to today’s social, economic, cultural and in particular creative issues. What contribution must academic and vocational training make and which formats are suitable for this? In the evening there will be a moderated podium discussion with the speakers. Werkstatt der Kulturen, Wissmannstraße 32, 12049 Berlin.